Usually, some factory use non-qualified raw material instead of expensive ones, finally we found the mould quality can't be guarenteed, even crack while moulding. 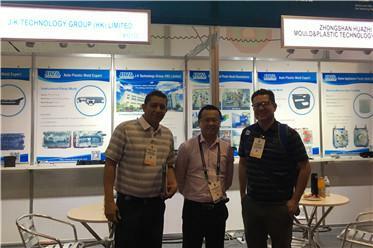 Reasonable design is precondition for qualified mould, but we found 20% of quality issue is caused by lacking of mature design experience. Based on statistic anlysis, 35% of mould quality issue is caused by operator's incorrect operation and unclear what's the right operation method is. Precise equipment is necessary support to finish one kit of qualified mould. 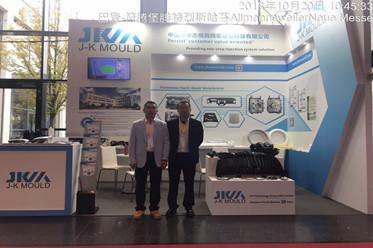 CAM Technology by Application of Various CAM Operating Modules Maturely, integrating standard processing parameters, database tool, fixture database and standard process template, JKM makes standardized and automated CNC- CAM operations come true. E.g. : Sodick AD30L owns its ATC electrode storage, and over 1000 kinds machining conditions to meet each kind of complicated component, which could reach ±0.005mm precision when mirror processing on the surface roughness Ra0.2μm. E.g. : IPQC LK CMM with three-dimensional system, LK-Integra, which can measure hook face and 1.9μm precision.